Book a VIP Montreal Limo Services! Chauffeured transportation services are often thought of as being exclusively designed for the rich and famous. Montreal Limos VIP is here to tell you otherwise! You too can get an absolutely fabulous limousine ride, even on a low budget! Our company is, without a shred of a doubt, the top chauffeured transportation service provider in the area and we take great pride in being thought of as the best and most professional limousine service there is! Our years of experience in the business are certainly not to be ignored, because they are the ones who have taught us just how important our customers are and just how crucial it is to keep them satisfied. Our philosophy is actually really simple: we always put your needs and your wishes first! Apart from that, we are dedicated to do everything in our power to turn these needs and wishes into palpable, certain reality. There is no demand that we have failed to honor so far! Regular Friday nights out and more! We offer our customers a very wide range of choices. There are plenty of options for you to choose from as our fleet of vehicles includes anything from SUVs, antique cars, luxurious limousines, party buses and even exotic cars. Additionally, we have quite an impressive cheap limousine service for those of you who are on a budget! Apart from our unbeatable offers and tempting packages, we pride ourselves in being able to offer you a great customer experience. There is no other transportation service in the area that even comes close to the level of knowledge and skills that our chauffeurs and drivers have. We only work with highly trained professionals who are capable of treating our customers like royalty. Our staff members, especially the chauffeurs know every street, every shortcut and every interesting sight in the city. You can rest assured that our drivers will get you to the desired destination on time and in the most comfortable and luxurious manner you could think of! We guarantee that our limo company has the most competitive prices in the area. 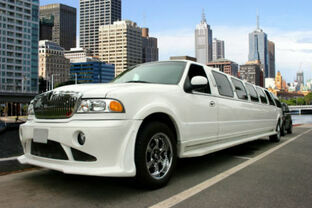 In fact, we are certain that you will not be able to find another limousine service with prices quite as low as ours. Our main goal is to keep our customers satisfied and to always surprise them with the highest quality services. In order to achieve this goal, our rates have registered an all-time low, as we are interested to cater to everyone’s needs, including customers who have to work around a set budget. All of our services were designed with our customer’s satisfaction in mind! In other words, anything you wish in terms of vehicles, decorations or other details is not impossible for us to achieve. All you have to do is ask! We service Montreal, South shore, limousine Laval and all surrounding areas.